Tank 82 is a 2002 Freightliner FL-112 with a 425 h.p cat engine. 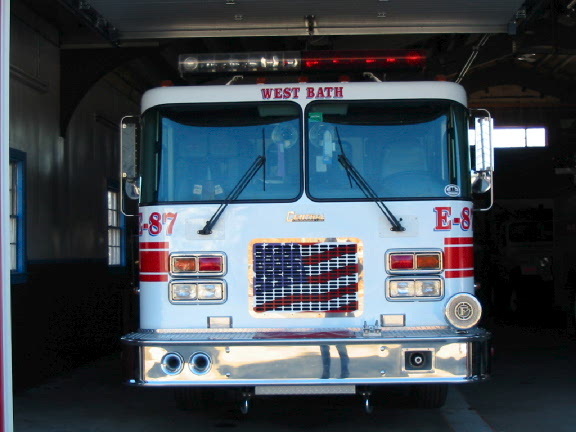 It is a pumper tanker with 1250 pump and 2500 gallon tank and services as our tanker and second engine. 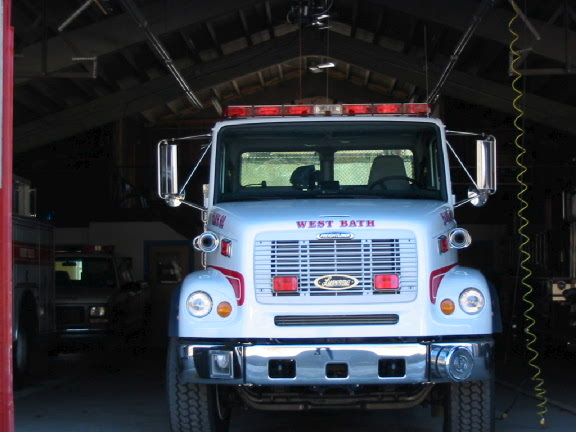 Rescue 83 is a 1986 Ford/Anton F-350 4x4. 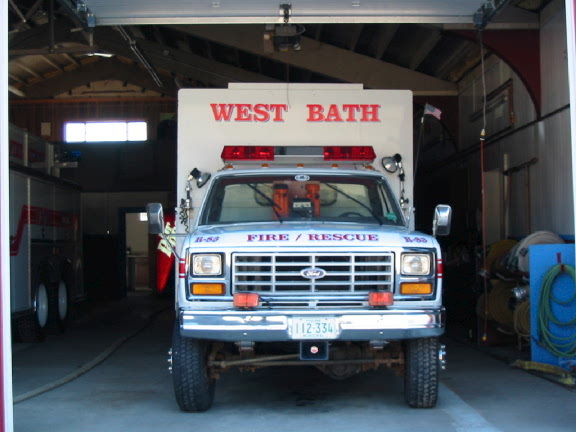 8 Rescue 3 is does not transport patients we only supply BLS (Basic Life Support) until Bath Rescue Arrives. Rescue 83 does carry water rescue supplies and Extrication equipment. Service 84 is a 2000 3/4 Ton GMC P/U. Its only use is to transport Firefighters to fire scenes and to classes. Brush 85 is a 1985 Jeep CJ-7, it carries 100 gallons of water and carries all brush equipment.